Season 19 of "Big Brother USA" is turning out to be extremely controversial and Josh Martinez is a big part of it. There are very few Latinos on television and when one does appear on a major network show, we notice and stand by them in support of creating awareness. However, the 23-year-old is not one we are proud of due to his bullying ways and we actually want him to be ejected from the house. 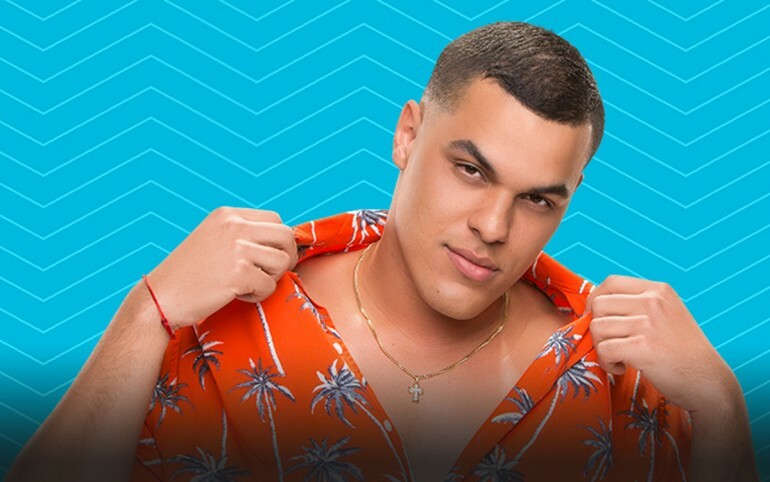 On last night's eviction episode of the CBS reality show, Martinez displayed juvenile antics that should not be permitted as he was berating fellow contestants Cody and Jessica. Cody and Jessica are not liked by the house, to be fair they were crummy people at the beginning of the game when they had power, but the tables turned and now they have fallen victims. Yes, these two were not the nicest people, but they never got to the level that Josh and his alliance are displaying. Behind Josh is Paul, the puppet master of the group and who was Head of Household this week. Turns out that he nominated Cody and Jessica for eviction, but the latter had a special power that would stop the live eviction from happening. Paul had made a fake deal with Jessica to keep her safe and target another housemate if she did not use the power to make it easier to evict Cody. When Jessica decided not to use her special power, Paul rallied up his group and asked Josh specifically to target Cody and Jessica. This is how a bully operates and should not be tolerated by the house. He started banging pans together and singing carnival music to annoy them and make their time in the house visible. When they walked away from the situation, all of them grouped up and followed them to continue the gruesome act. This is the dictionary definition of bullying and how producers are not seeing this is beyond us and the general public on social media. Now, Josh has the power as he won HOH and will most likely target Cody and Jessica. The tactic that Josh is using can't be shielded behind "game play" and say it's all part of a strategy, because the way he is going about it is completely classless and producers of the show need to step in and put a stop to it. Host Julie Chen addressed the harassment in an interview with EW saying: "Josh’s behavior is juvenile and annoying. It’s meant to intimidate. But Cody and Jessica are both too strong-minded to let him or his antics affect them. In fact, it might make them work even harder and make them stronger." Cody and Jessica are not the only ones being harassed by Josh, earlier in the week he did something similar to Mark, who completely ignored him reluctantly. At one point Josh started again and Mark got in his face taking the pans away from him and producers were forced to step in and tell them over the intercom to go on opposite sides of the house, breaking away from the usual "Big Brother" pre-recorded voice they usually use. Earlier in the season Josh also targeted Megan who in the end couldn't cope with the mind games and quit the show after only a few days in the house. "Big Brother" is all about the drama between people from different background, but when it gets too nasty like it has been this season, no one can enjoy the show as much. It's one thing if there's a topic or a game move that gets someone upset and a heated discussion ensues, but it's quite different when people are targeting other people in that manner the way Josh is doing by Paul's orders. Both of them should be ejected from the house as far as we are concerned. "Big Brother USA" airs on Sundays, Wednesdays and Thursdays on CBS. 'Big Brother México' 2015 Winner: El Chile Takes First Place!